Are forced to have on-going contact with someone of whom they are scared or whose presence is a ‘trauma trigger’, following previous incidents where the children have been traumatised. 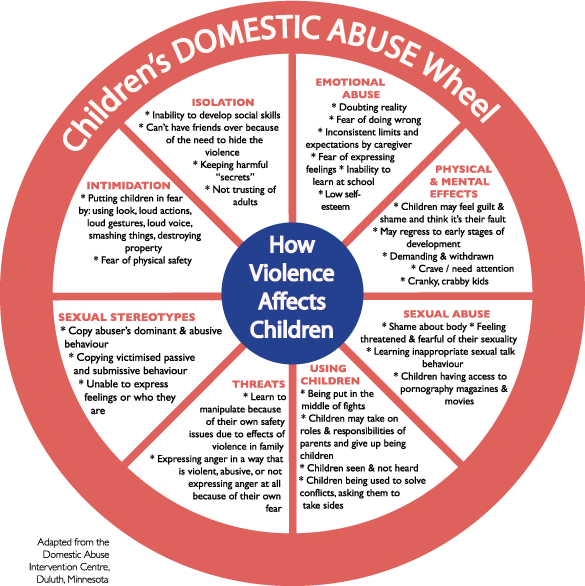 The impacts of domestic and family violence on children are complex. When children experience domestic and family violence, it can affect their behaviour, development, relationships, emotions, learning ability, cognition, and physical health. These impacts can last into adulthood. Further information on the effects of domestic and family violence on children is available from the links on our Contacts page.